When there are people and paperwork and piles to manage . . . When I look around my house and see the walls that need to be painted and the cupboards that should be organized . . . When my inbox is cluttered with notes I need to answer about work stuff and volunteer stuff . . . When output is more than input . . .
. . . my creativity well often runs dry. 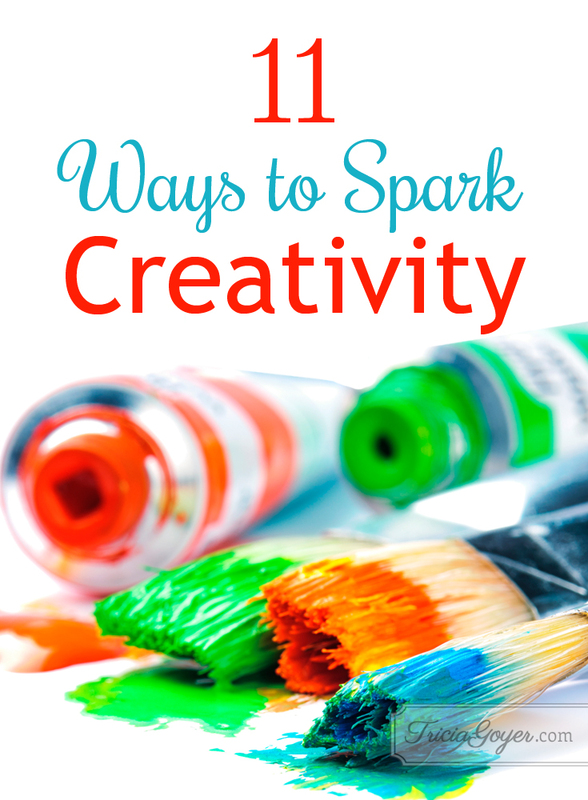 What can you do when you need an extra “spark” of inspiration? Here are a few things I do. Sit outside. Breathe in fresh air. Listen to birds sing. Watch busy ants. Open a book of poetry, or rent an audio book of poetry from the library. Absorb the symbolism and fresh word combinations. Sometimes what we need is simply a break in our day from the mundane tasks of life. These tips are perfect for breaking up a routine. Who knows? You might end up inspired to finish writing that blog or to tackle that inbox.